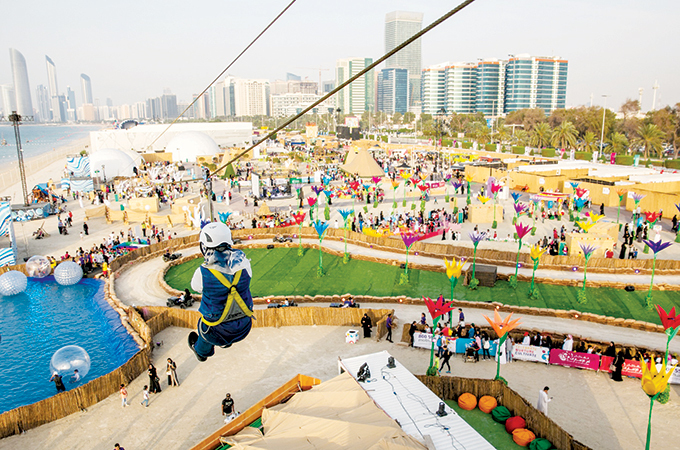 The Department of Culture and Tourism – Abu Dhabi (DCT Abu Dhabi) announced that the fourth edition of the Mother of the Nation Festival (MOTN) will return to the UAE capital from March 12 to 23 this year. The event will occur in conjunction with the Special Olympics World Games, which is taking place from March 14 to 21. More than 7,500 athletes from 192 countries are set to participate in the Games, which are being held in the Middle East and North Africa region for the first time. The festival pays tribute to the living legacy of the original ‘Mother of the Nation’, HH Sheikha Fatima bint Mubarak, supreme chairwoman of the Family Development Foundation, chairwoman of the General Women's Union and president of the Supreme Council of Motherhood and Childhood. It embodies her inspirational values of empowerment, conservation, collaboration and sustainability. With a spirit of camaraderie, and community spirit, the Mother of the Nation Festival is committed to providing a wide array of high-quality entertainment through performances, workshops, dining and retail offers, and activities for the entire family to enjoy over the course of 12 days. Another exciting new highlight of the Mother of the Nation Festival will be a captivating touring show by Cirque Du Soleil, which will make its Middle East debut by appearing in Abu Dhabi for the first time ever. Presented in collaboration with Alchemy Project, the spectacular production titled ‘Bazzar’ will be a breathtaking and colourful homage to Cirque du Soleil’s legacy, and will premiere on the March 6 and run until March 16 on Yas Island. The show will be an eclectic lab of infinite creativity where a joyful troupe of acrobats, dancers and musicians will craft an awe-inspiring spectacle. Lead by their maestro, they will band together to invent a whimsical one-of-a-kind universe and the colourful group will reimagine, rebuilds and reinvent vibrant scenes in an artistic, acrobatic game of order and disorder. Mother of the Nation Festival ticket prices will be revealed soon. Tickets prices for Cirque Du Soleil – Bazzar start from Dh195 ($53.09) to Dh1,495 ($407).